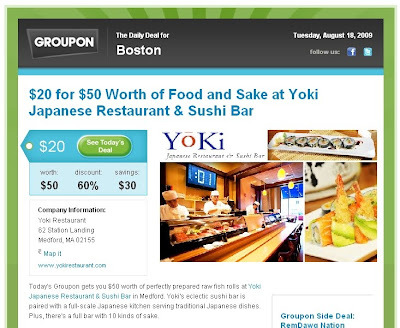 Definitely something worth taking advantage of if you love good sushi! This entry was posted in Yoki by shortcakescraps. Bookmark the permalink.